Deflection Dimension is actually quite a simple idea for a game, and might have been overshadowed on the show floor at Rezzed where some indie titles are now beginning to look as big and polished as games from big studios. But the concept of winning a fight when you are literally the only character unable to attack is appealing, if only for that sense of karmic justice. The concept is simple – take a twin stick shooter, and remove the shooter part of things. Instead, your rather lost character is protected by a magic mirror which can reflect the attacks of various monsters back at them. Aim with the right stick to keep the mirror up, sorted. Easy? Not quite. … and secondly, the game does like throwing simple puzzles at you. In the show floor demo these consisted of stepping on the correct floor button (usually hinted in the nearby area), with a wrong choice throwing fresh, increasingly larger groups of critters your way; and of crystal lighting exercises, deflecting an attack at an angle to hit a target rather than an enemy. It felt like a nice change of pace. 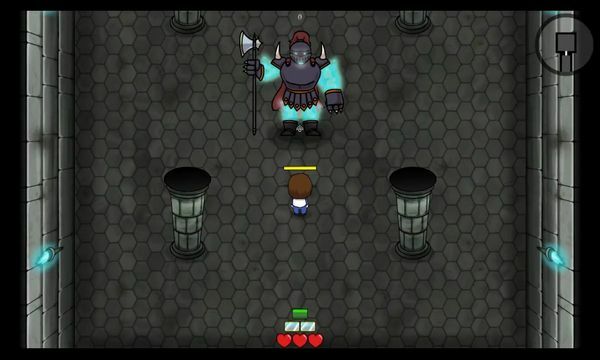 It’s not quite a pacifist exercise – room doors tend to open when all the monsters are defeated, leaving me with a feeling like playing the original Zelda on NES, where you’re trying to make best use of the environment, and are hoping for a heart to drop to restore a little health before progressing. 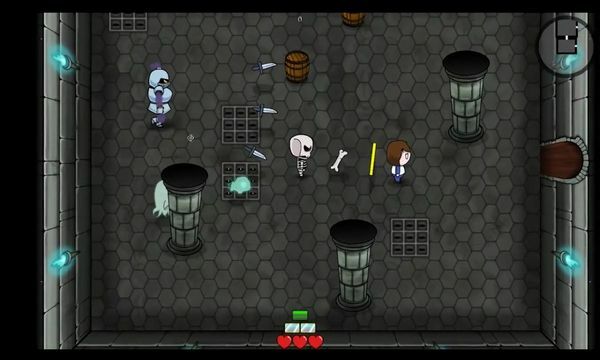 Not a bad feeling for the game to give, not least when you consider the rooms are all being randomly generated, both in terms of size and content. There are powerups to collect, such as increased health or temporarily doubling the damage of a reflected shot; hopefully the randomisation will account for these to keep things balanced. Deflection Dimension felt different by virtue of not putting any sense of force in your hands. If you think of martial arts in terms of “hard” (applying force against an opponent) and “soft” (using an opponent’s force against themselves), there is a sense of soft power to it. It’s a game that doesn’t avoid fighting, yet ironically doesn’t let you fight, and that felt different and worth trying out. There are occasionally pacing issues – for example, relying on enemies to attack can also mean waiting for them to do so, which is emphasised when you need to reflect a shot into a target to solve a puzzle and the slime monster nearby seems to be considering taking a passive approach too – although with the game being a demo for new players I cannot say for certain if it simply had the difficulty and pace dialled down a little. Likewise, the game’s website implies there will be different game modes which may also be factors in how the pace feels. Deflection Dimension may have looked simple compared to some of the other titles around, but it has taken an idea, and spun it into something following its own approach. It may use twin-stick shooter controls, but it feels very different in both approach and philosophy. Deflection Dimension is looking to go into Early Access soon, with mobile versions to follow.